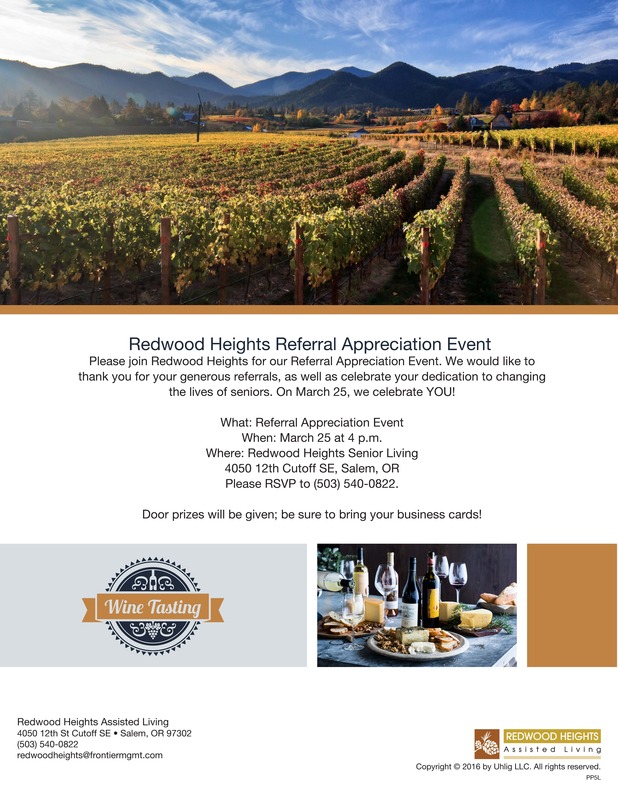 Please join Redwood Heights for our Referral Appreciation Event. We would like to thank you for your generous referrals, as well as celebrate your dedication to changing the lives of seniors. On March 25th we celebrate YOU! Door prizes will be given be sure to bring your business cards!